With the addition of Game Center to OS X 10.8 Mountain Lion, Mac users will be able to play online competitively and cooperatively against gamers who have the same title for iOS. Game Center for Mac will even replicate the user interface of the existing Game Center offerings for iPad, iPhone and iPod touch, offering a seamless experience for users. Like with iOS, Mac users will be able to compare accomplishments and challenge friends to online match-ups through Game Center. By logging in with an Apple ID, users can add friends and keep track of their played games in Game Center. Multiplayer games can be initiated with someone added to a friends list, or even with new players randomly matched up. Game Center in Mountain Lion also features leaderboards, so gamers can compare their high scores to friends and other top players around the world. The social software also shows what users' friends are playing, allowing them to discover new games. With Game Center, users can send friend requests to gamers on Mac, iPad, iPhone and iPod touch, making it a true cross-platform experience. And several e-mail addresses can be tied to one Game Center account, making it easier for users to find their friends on the service. Games that are written specifically for Game Center can take advantage of cross-platform play, meaning Mac users will be able to compete with gamers who have the same title installed on their iPad, iPhone or iPod touch. Game Center also features built-in voice chat, so players can communicate while they play with or against each other in an online matchup, regardless of what platform they are gaming on. Microsoft attempted a similar approach to the way Apple is expanding Game Center when the Redmond, Wash., software giant sought to bring some of the most popular features from its Xbox Live subscription service to Windows, in the form of Games for Windows Live. But Microsoft's Games for Windows Live has struggled to gain traction on the PC, as competing services like Valve's Steam remain more popular options for purchasing titles, connecting with friends and tracking achievements. When it was first announced in 2010, Game Center was viewed as Apple attempt to replicate for iOS some of the success Microsoft has had with Xbox Live on its Xbox 360 gaming console. iOS developers can integrate with Game Center using the GameKit application programming interface. That allows titles to connect with the Game Center application, which serves as a centralized hub for friends lists, leaderboards and unlockable achievements. Gaming has become one of the most popular uses for the iOS, with the App Store routinely dominated by gaming titles among the top 25 in both paid and free software. Since the launch of the Mac App Store in early 2011, games have also been a major component of that digital storefront. 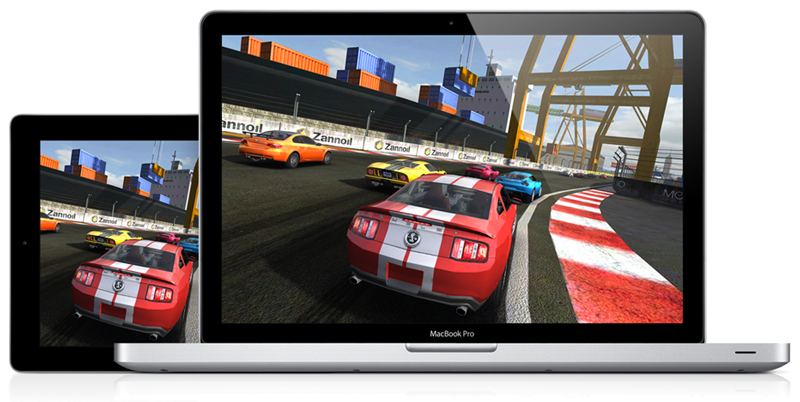 Mac gaming has seen major growth in recent years as the platform has gained popularity. Most significantly, Valve launched Steam on the Mac in 2010, and brought its own brand of cross-platform play between Mac and PC for popular titles like Team Fortress 2.